In a rapid fire presentation in Milan this morning, Panasonic outlined its vision for its range of plasma TV, LCD TV, digital imaging and home audio products. Among the company highlights are a range of HD plasma TVs ranging from 37 inches to 50 inches in size, with the top of the range models also including full 1080p HD resolutions. The company says its flagship 103-incher is also the only really large flat panel display in mass production. 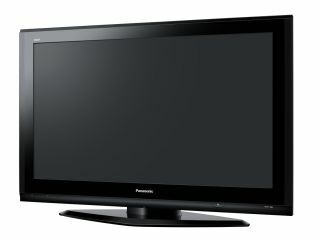 Panasonic is currently the market leader in plasma TV globally with 25% market share. The company is already planning to build a fifth plasma TV factory and is proud of the fact that it makes all of the components - from the TV circuitry to the flat panels - itself, enabling it to optimise the technologies they include. The company also stressed its eco-credentials, saying that has eliminated 28 tons of lead per annum from its plasma TV production. The company is also increasing its LCD TV production with a new factory in the Czech Republic. Sets will range from 26 inches to 32 inches in size. Other highlights include new AVCHD solid-state camcorders, plus Panasonic is selling up Viera Link - an AV networking system that uses HDMI connections. The aim is to give you control of all the connected devices in your home - camcorders, cameras, TVs, audio systems, etc - using a single remote control. Panasonic's second UK Blu-ray player is also making its UK debut today. We hope to bring you more detail on specific products in due course. The first of Panasonic's more in-depth presentation is already underway.